One of the first truly excellent rums i found on my journey! Nice heavy bottle, ok gift box for the price, good color, nice aroma, and overall a luxury experience in a Rum. Well done and a must for your bar! Best on ice! Great color, aroma, but best on ice. Not a sipping rum per say. 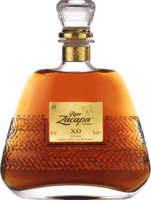 I really like the central american rums the best. The best i've had from Flor de Cana Nice sipper. Well done and smooth. Best grab a friend and sip over the evening conversation. I believe this is the best of Flor de Cana. Great for mixing! This is a great mixer! Really pretty good. We didnt enjoy sipping on it at all. Makes a great cocktail but no sipper I'm a fan in a cocktail but i'm not sipping it neat. Loaded with additives but easy to sip. Smooth but seems fully of additives. Not really great but it would compete nicely against Zacapa. Mix it with something! It's spiced. I can't sip it but you can mix it. It's an ok spiced rum. Great package though and fun marketing. I give them credit for all of that. Mix it. Better vs the gold. It's the label that MIGHT sell it. Overrated and only good for mixing. Hardly worth mixing Hardly worth mixing. So many better options today.